Steven Yeun greets me with a big smile and a warm handshake as we meet at the Mayfair hotel in London on a cold October morning. We sit down and chat about what it means to be a Korean-American, his latest production Burning, and working with Lee Chang-dong. Born in Seoul, South Korea and raised in Michigan, USA, Steven has quickly become a household name in Hollywood. He first made his mark as Glenn Rhee in zombie drama The Walking Dead, one of the original characters in the show, whose death at the start of season seven shocked viewers to the core around the world. After departing from the AMC show, he swiftly began taking his career down a different path by starring in Joe Lynch’s underdog film Mayhem and then in Bong Joon-ho’s Okja. It was in 2018 that he truly came into his own, as he was cast in even more successful productions. He appeared in Sorry to Bother You, an ingenious film by Boots Riley, and Burning by Lee Chang-dong, a cinematic slow-burner, in which Yeun portrays ambiguous psychopath Ben opposite Yoo Ah-in’s Lee Jong-su and Jeon Jong-seo’s Shin Hae-mi. “[It] was pretty meta experience” the actor says of his role in Okja, in which he plays a Korean-American. 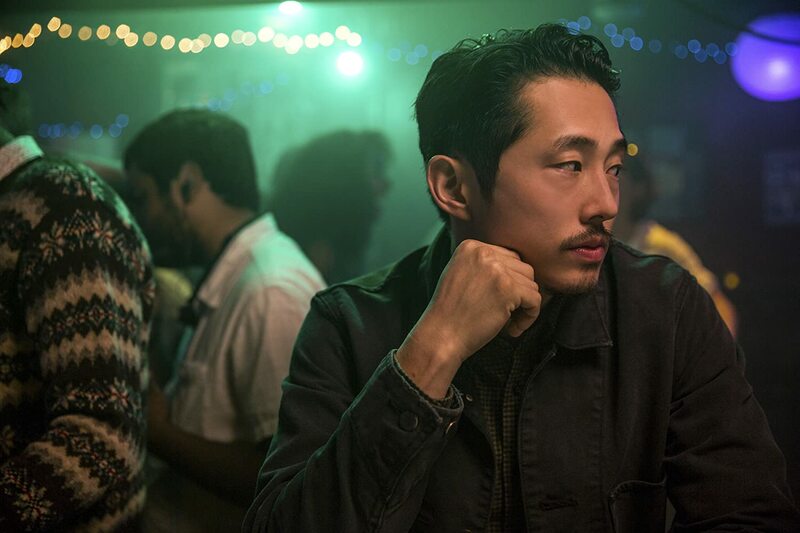 During production, Steven was required to live in South Korea for two months while filming the Netflix film, where he didn’t have any issues as half of the crew and cast spoke English. But, for Burning, he was required to stay there for five months and he had a very different experience. “That was tough, I was bummed about that. I was aware of my loneliness while in Korea. It was tough to swallow, but also beautiful and honest, I found strength in it as well,” he admits with a smile. While, when it came to the difference between filming in the USA and Korea, Steven admits that there isn’t much of a difference between the two, as he begins discussing his experience with his latest US production Sorry to Bother You by Boots Riley: “I guess, I haven’t really had much chance to work in a Korean film. “Okja was a co-production, and it felt very American to me because of how it was run. It was half Korean, half American, and during the filming, it made me aware that I didn’t really belong anywhere at that time.” Steven says, with a huge smile on his face. “Director Bong and Lee, and Boots Riley, are artists, unique individuals, and as an actor you just participate in their art.” Steven adds. 2018 was a very productive for Steven, particularly when it came to the work he did for Burning. 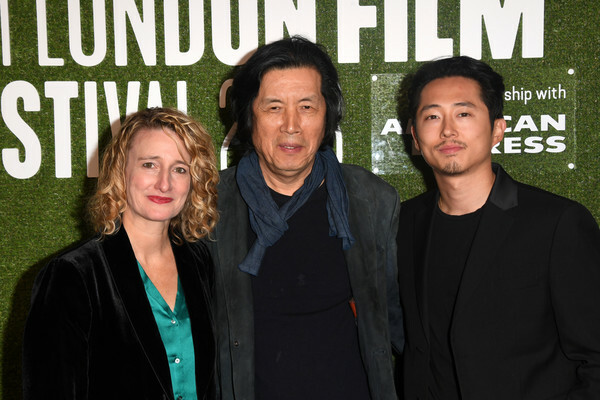 Preparing for the film was a challenge on its own, as Steven had to learn Korean fluently and create Ben’s persona on his own: “I read the short story Barn Burning, that was when the character really clicked with me, before I even spoke to director Lee. I got a sense of emptiness that purveyed throughout Ben’s character. Every actor has their own method to create a character, but Steven admits that Ben’s wasn’t the easiest one to crack, as there wasn’t a description of his persona in Burning’s script, so he was challenged to create one. The result? Steven created a sublime character, while Lee Chang-dong made an absorbing film blending thrills and drama between the three characters, and there is not much else to say except all of them delivered Oscar-worthy performances. One question that prevails from the film was if Ben’s character was a psychopath or a sociopath, with his murderous tendencies, and to the actor both are appalling: “Both are bad! (laughs) Ben is open to that interpretation, we really wanted to make him ambiguous in that way. I had a personal story that I built for him. With such a demanding role, it would seem that the door to Korean cinema has opened for Steven, but after discussing his upbringing and how he felt while living in Korea, we wonder if he thinks this might not be the right door for him? “I call it an independent freak accident that happened to me,” Steven concludes, and with that our conversation comes to a close. The film has become a social manifesto against the injustice of contemporary Korean society, making Burning an excellent film on many levels, it’s a cinematic slow-burner which shows how certain situations in life dictate our future action. And with Steven’s sublime performance in the film, as well as the effort he put in to speaking Korean, it stands to reason that the audience will hold out hope for the actor to appear in another Korean production in the near future. We’d like to thank Thunderbird Releasing for their assistance in the interview and to Steven Yeun, who kindly took the time to answer my questions.